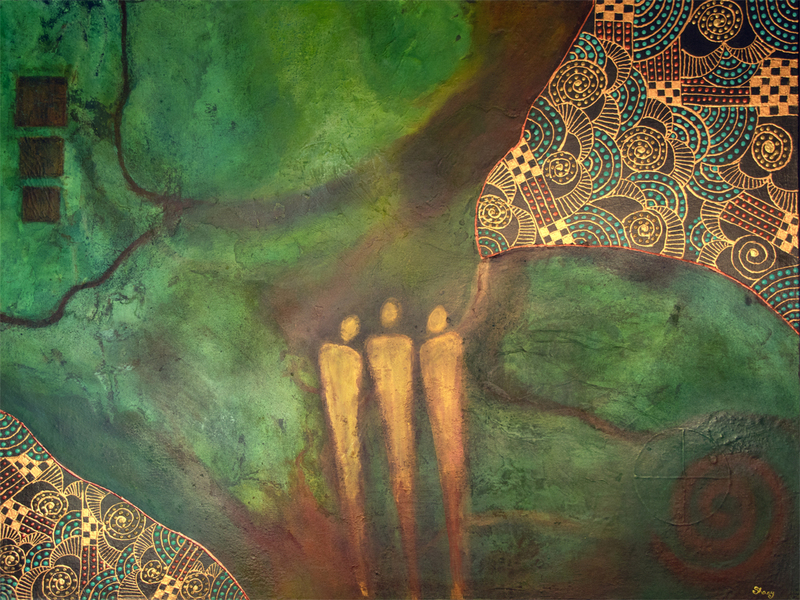 A mixed media painting, this painting seems to look down from above to the spirits below. The vibrant colors and fineline work are eye catching. It is framed in a gold and black floater frame that enhances the gleam of the fineline work.